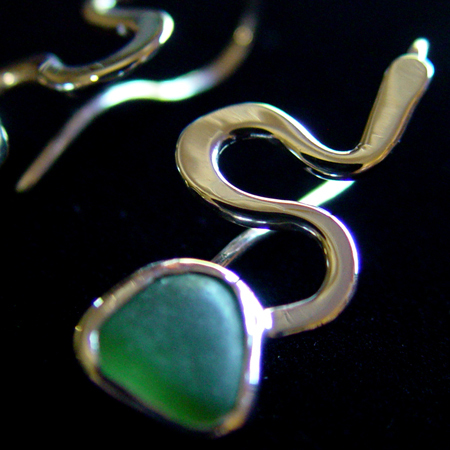 I forged these earring and set the sea glass in a backless bezel so the light will shine through. The sea glass was found on a Santa Cruz beach. These are about 1.2 inches long and are .5 inches wide.